What Is A Dental Crown and Why Would I Need It? Crowns are fixed dental artificial restorations that are fitted and cemented over the remains of a damaged tooth, or implants. Ceramic crowns. These are porcelain-based filling materials and best used for front teeth because of their excellent aesthetic qualities that help them blend well with the natural teeth. However, even if the material is highly resistant to wear and staining, ceramic crowns may be susceptible to breaking or chipping if one chews often enough on hard materials. Porcelain infused with metal. These crowns are much more durable than just ceramic ones. They are excellent in preventing leakage and decreasing the chances of recurring dental decay. However, to place this type of crown, a moderate amount of tooth structure will have to be removed by the dentist or prosthodontist. Gold alloys. These types of crowns are often made from a mixture of gold, copper and other types of metals. They are very durable, resistant to wear, fractures and are highly biocompatible with the gum tissue. Base metal alloys. These types of crowns use non-noble metals and are highly resistant to corrosion, as well as very durable. The material is also gentle to opposing teeth and even better is that dentists won’t have to remove as much healthy tooth structure to fit this type of crown. Crowns are placed on top of damaged teeth or implants to restore the tooth’s shape, function and structure. When using porcelain and ceramic crowns, dentists can match the color of the crowns to that of your natural teeth so that they do not stand out. However, the same can’t be said for crowns made out of gold and metal alloys. The procedure for fitting or installing a dental crown typically takes two separate dental visits, with usually a week or two of interval in between each appointment. 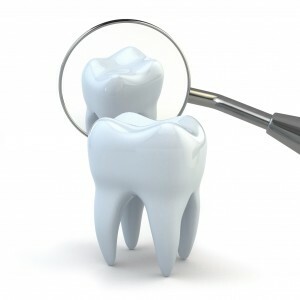 During the first appointment, the dentist will have to examine the tooth to see if it’s a good candidate for a crown. If it is, the dentists prepared it by filling it down. If, however, the tooth has received significant damage, your dentist will have to fill it in with enough material so a crown can be properly fitted over it. After filling the tooth to the proper shape, the dentist will then take an impression of it and its surrounding teeth, and then send it away to a dental lab. There, a dental technician will create the permanent crown. Though, before the first visit ends, the dentist will have to place a temporary crown to protect the damaged tooth until the final crown is ready. Once ready, the patient will then go back for a second visit where the dentist removes the temporary crown and place the new crown, using a special adhesive to bond it. Afterwards, the procedure is done and the dentist will then explain to you what you should expect after (such as the adjustment period) and how to take better care of your crown. 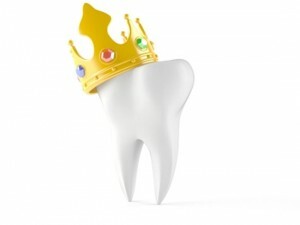 Crowns are necessary to help improve, or restore the function and aesthetics of a broken and damaged tooth. Do not let yourself suffer any longer from missing, worn down, as well as damaged teeth, and your dentist as soon as possible to see if your tooth is a good candidate for a dental crown. If you are interested in repairing your damaged tooth with a dental crown, contact Dr. Larry Lieberman, DDS at 727-785-8017. Or visit www.dentist-liberman.com for additional information regarding crowns. Dr. Larry Lieberman, DDS accepts patients from Safety Harbor, Palm Harbor, Clearwater, Dunedin, Tarpon Springs and surrounding areas. Teeth are very strong, but this does not mean they are indestructible. Much like the bone, teeth can chip, crack or break. This may happen if you bite down on something too hard, or if somebody hits you in your face or mouth. The same can also happen if you fall too hard on your face, or if your teeth has cavities, or if your large, old amalgam fillings are no longer able to support the remaining enamel of the tooth. Of course, when tooth chips, cracks or breaks, it will rarely hurt. At least, at first. However, it can be quite annoying to feel the sharpness of the affected tooth every time you slip your tongue through it. It can also hurt, especially if a large enough piece breaks off. That’s not all, as the nerves found inside the tooth may also be damaged. In even worse cases, you can feel a sharp pain every time you expose the dentin to air, as well as to hot or cold foods and drinks. Some may also feel pain whenever they chew, or whenever they put pressure on the tooth. Though, more often than not, the pain will usually just come and go. For cracked and fractured teeth, there’s no way to treat them at home. It is best to see the dentist immediately because even if the tooth looks fine, it may hurt whenever it’s exposed to temperature changes in your mouth. It may also be incredibly painful, a sign of a possibly damaged nerve or blood vessels, which warrants immediate medical attention. The best way to know if you have a cracked tooth is if it hurts only when you try to release the bite whenever you apply pressure to it. For those with broken teeth, it is also important to see the dentist as soon as possible. This is so that the dentist can see if a cavity caused the tooth to break. It is also to check if the tooth’s nerve has received any damage, which, if so, will require root canal treatment. If any area is bleeding, apply pressure with a piece of gauze for ten minutes. If this doesn’t help, try using a tea bag instead. You can also try applying a cold pack to the cheek or lips over the side of the broken tooth to help reduce pain and swelling. If it is not possible for you to see your dentist immediately, try to cover the part of the tooth that’s damaged with a temporary dental cement. You can probably buy this from your local drugstore or pharmacy. If the pain is too much, you can take an over-the-counter pain reliever. Make sure not to overdose. For a more thorough treatment, however, it is best to have your teeth and mouth checked by a dentist to receive proper treatment. This is the only way for the damage to the teeth to receive proper treatment and prevented from getting worse. If you would like to get your chipped or broken tooth repaired, contact Dr. Larry Lieberman, DDS at 727-785-8017. Or visit www.dentist-lieberman.com for additional information. This entry was posted in General Dentistry and tagged Broken Teeth, Chipped Tooth, Dr. Larry Lieberman DDS on April 12, 2016 by admin.